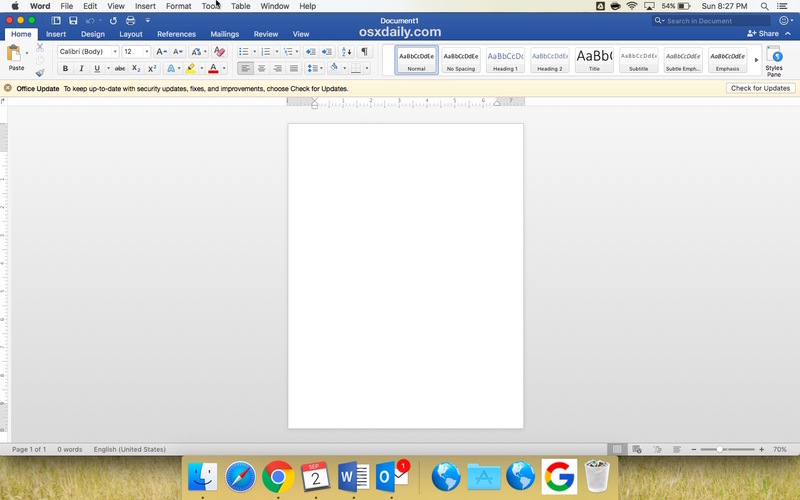 If you use Microsoft Word and Microsoft Office on Mac you may have noticed that Word has aggressive autocorrect functionality which is separate from the general MacOS autocorrect feature. Essentially this means that Microsoft Word autocorrect will continue even if you disable autocorrect in Mac OS through System Preferences. Autocorrect is often one of those features that people either love or hate, but even if you like autocorrect you may find it sometimes erroneously corrects a word or gets in the way, thus there are many reasons you might want to disable this feature in Word. If you want to turn off autocorrect in Microsoft Word for Mac, we’ll show you how to do that. With autocorrect disabled, you’re free to type (and typo) whatever without Word aggressively correcting the words automatically. If you’re a typo machine with spelling this settings change may not be a good idea, but many writers may appreciate turning off this feature, while many others may want to keep it on. While you’re in these Microsoft Word correction settings you might also want to disable Word capitalization of the first letter of words too if you don’t like that, though some users may like that feature. Like virtually all settings changes, this can easily be reversed by simply returning to the Word “Tools” menu > Autocorrect > and checking the “Automatically correct spelling and formatting as you type” box again. This may seem weird for Microsoft Word to have a separate autocorrect feature from that which is broadly in Mac OS, but that’s actually not too unusual. 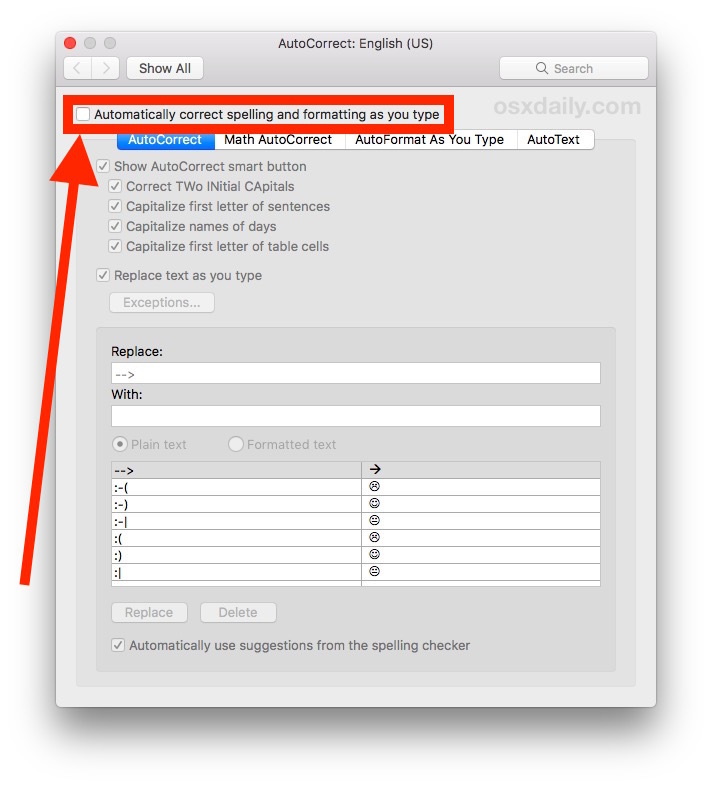 In fact, many Apple apps also have their own separate autocorrect functionality, and you can separately disable autocorrect in Pages for Mac, or TextEdit for Mac and disable autocorrect in the Mail app for Mac too, all with or without broadly disabling autocorrect in Mac OS. Obviously this is for the Mac, but this setting is probably the same for disabling autocorrect in Microsoft Word for Windows too, and perhaps even Microsoft Word for iOS as well. If you have any experience with that, or have any other thoughts about autocorrect in Microsoft Office or Microsoft Word, share with us in the comments below.